Saracens were dealt a massive setback when captain Owen Farrell withdrew from the team after his wife went into labour on Saturday morning. This forced a backline reshuffle, with Alex Goode moving from fullback to flyhalf, Liam Williams from wing to fullback and David Strettle off the bench and on to the left wing. However, it didn’t cause too much disruption, as Williams and Strettle each went on to bag a brace of tries, while Goode orchestrated proceedings well in the playmaker role. Glasgow started powerfully when their talisman Stuart Hogg went on a barnstorming run to set up scrumhalf Ali Price for the opening try. 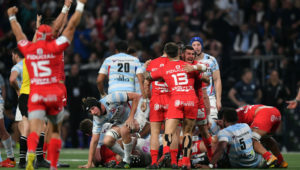 Sarries responded in the best way possible as they chalked up 22 unanswered points via tries from Williams, Strettle and Barritt, as well as a penalty from Lozowski. The gap was cut down to 22-13 at the break after Glasgow added two penalties to their tally. 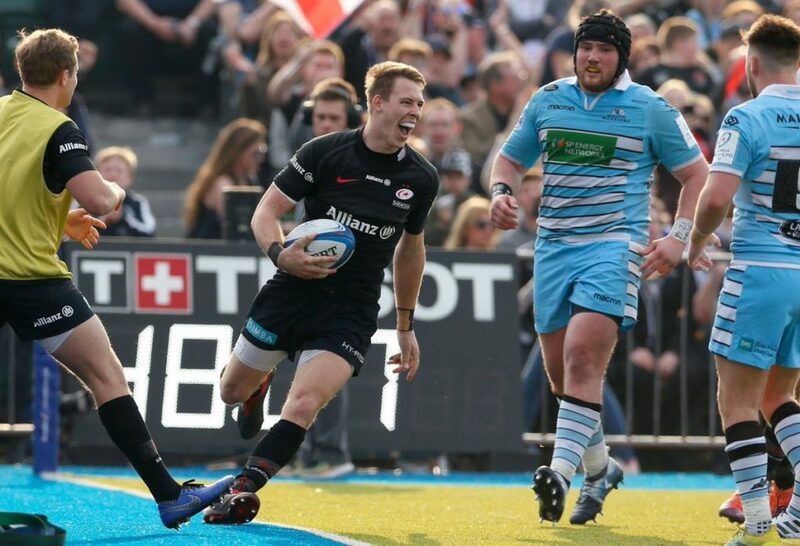 Saracens upped the urgency in the second half, scoring three tries – by Williams, Strettle and George – and two more penalties to take a commanding 49-13 lead early in the fourth quarter. And although there would be another try for the Warriors, Saracens finished on a high when Nick Tompkins barged over under the posts. 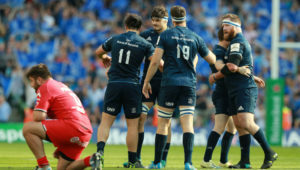 Saracens will now face Johann van Graan’s Munster in the semi-finals. 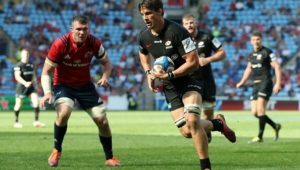 Saracens – Tries: Liam Williams (2), David Strettle (2), Brad Barritt, Jamie George, Nick Tompkins. Conversions: Alex Lozowski (6). Penalties: Lozowski (3). Glasgow Warriors – Tries: Ali Price, George Horne, Matt Fagerson. Conversions: Adam Hastings (3). Penalties: Hastings (2). Saracens – 15 Liam Williams, 14 Sean Maitland, 13 Alex Lozowski, 12 Brad Barritt (c), 11 David Strettle, 10 Alex Goode, 9 Ben Spencer, 8 Billy Vunipola, 7 Jackson Wray, 6 Maro Itoje, 5 George Kruis, 4 Will Skelton, 3 Christian Judge, 2 Jamie George, 1 Richard Barrington. Subs: 16 Tom Woolstencroft, 17 Titi Lamositele, 18 Vincent Koch, 19 Nick Isiekwe, 20 Schalk Burger, 21 Tom Whiteley, 22 Max Malins, 23 Nick Tompkins. Glasgow: 15 Stuart Hogg, 14 Kyle Steyn, 13 Stafford McDowall, 12 Samuel Johnson, 11 Rory Hughes, 10 Adam Hastings, 9 Ali Price, 8 Matt Fagerson, 7 Callum Gibbins (c), 6 Rob Harley, 5 Scott Cummings, 4 Tim Swinson, 3 Zander Fagerson, 2 Fraser Brown, 1 Oli Kebble. Subs: 16 Kevin Bryce, 17 Jamie Bhatti, 18 Siua Halanukonuka, 19 Jonny Gray, 20 Chris Fusaro, 21 George Horne, 22 Peter Horne, 23 Niko Matawalu.